Welcome to the third episode of the Cacique Resort Review. 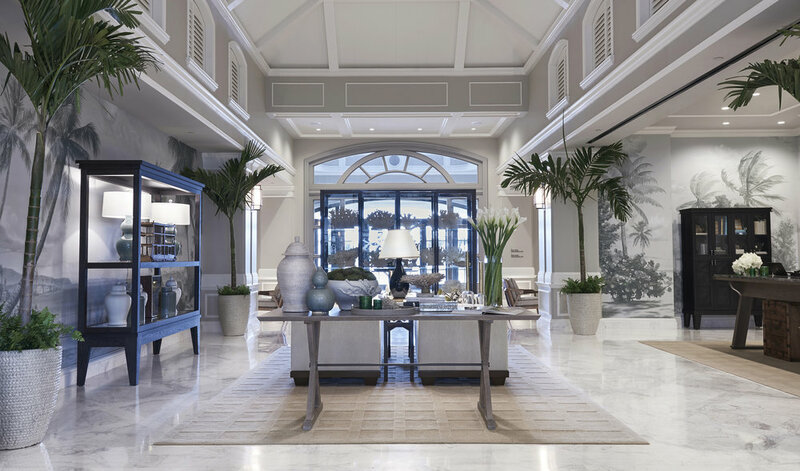 In this edition, we are exploring the newest member of the Baha Mar family - Rosewood Baha Mar, an epic, glamorous resting place for today's global nomad. 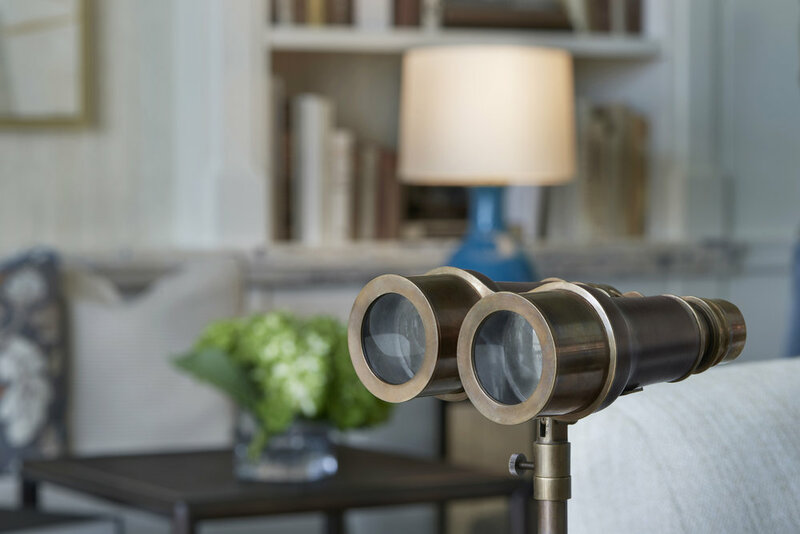 The Rosewood brand boasts an international collection of highly acclaimed, residential-style hotels that are inspired by the history, culture and in particular, the geography of the host country. Rosewood Baha Mar is no exception. Meeting spaces are changing. More corporate events are taking place in interesting, laid-back environments rather than the overused, traditional hospitality spaces of yesteryear. Delegates don’t want to meet in the same old board room. They need spaces, places and experiences that inspire them to think, play and create. Experiences that provoke conversation and encourage connectedness. Brimming with glamour, style and a truly unique sense of place, Rosewood Baha Mar is uniquely positioned to harness the full creative potential of every group that enters its doors. The perfect entryway and living room to thrive in. ROSEWOOD BAHA MAR | THE WHY? Classic Rosewood, Distinctively Baha Mar. The revitalized Cable Beach strip returns to its former glory as a haven for fashionable jet-setters. The very essence of upscale island living is captured in this grand expression of extravagance and refined attention to detail. 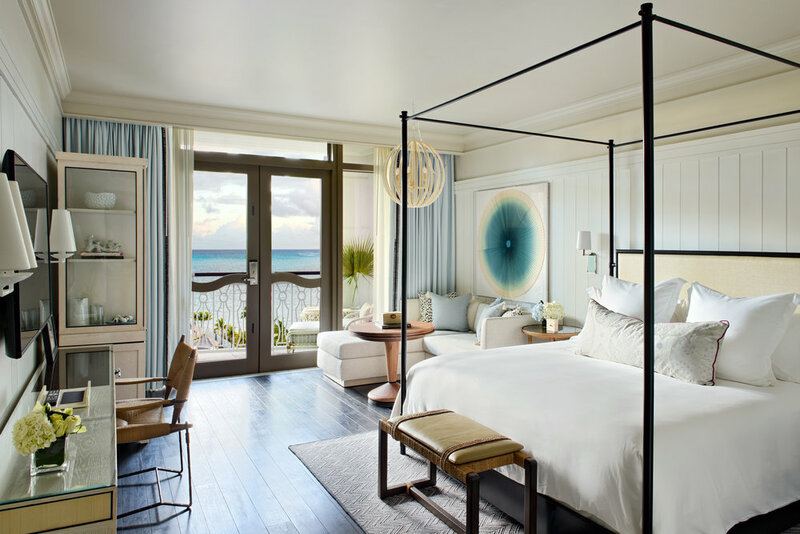 ‘The Library’ at Rosewood Baha Mar does just this in highlighting Bahamian nuances while incorporating contemporary elements in its overall aesthetic. 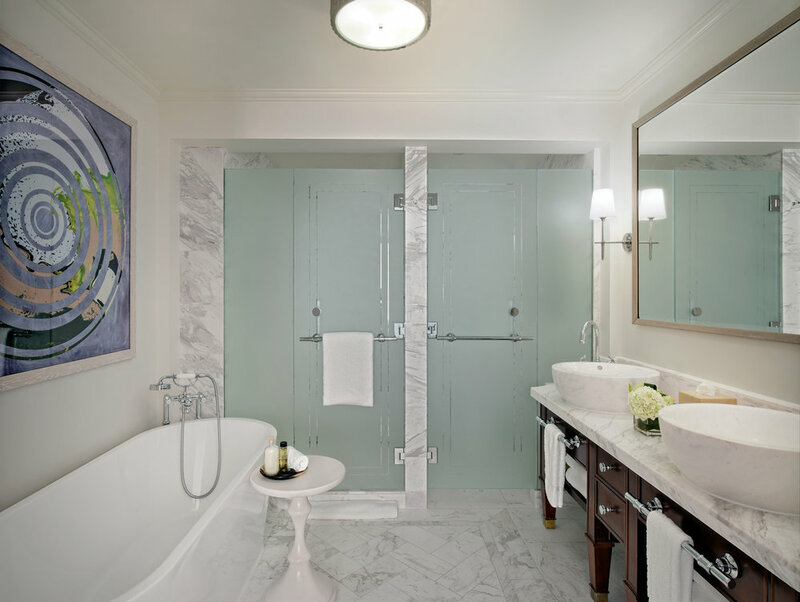 It’s easy to lose yourself in the stylish sophistication of this space so much so that you’ll think you’ve woken up in New York. But it’s better, you’re in the Bahamas. Lose yourself in the stylish sophistication of The Library. The attention to detail in the Library Lounge is impeccable. Enjoy an amazing collection of artisanal teas and fine champagne. ROSEWOOD BAHA MAR | THE WHAT? Rosewood is the quintessential depiction of exclusive island paradise. The 238 rooms/suites/villas are decorated in a contemporary palette of white while the alluring shades of blue sweep in through the windows from the ocean. The world’s affluential explorers are able to meaningfully engage due to Rosewood Baha Mar's strong “sense of place.” Located on one of The Bahamas’ most breathtaking white sand beaches and surrounded by enchanting tropical gardens, guests can enjoy the best of island living where the hospitality is even warmer than the climate. Costa's interior design is infused with Bahamian nuances. 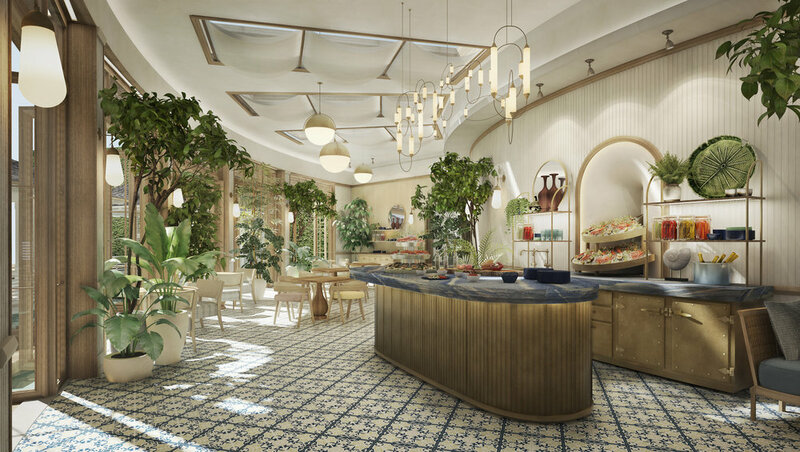 There are two restaurants on property: ‘Costa', which features dishes from the sea with a Mexican twist and ‘Commonwealth' which is aptly named as it offers dishes from within and around the Commonwealth countries. 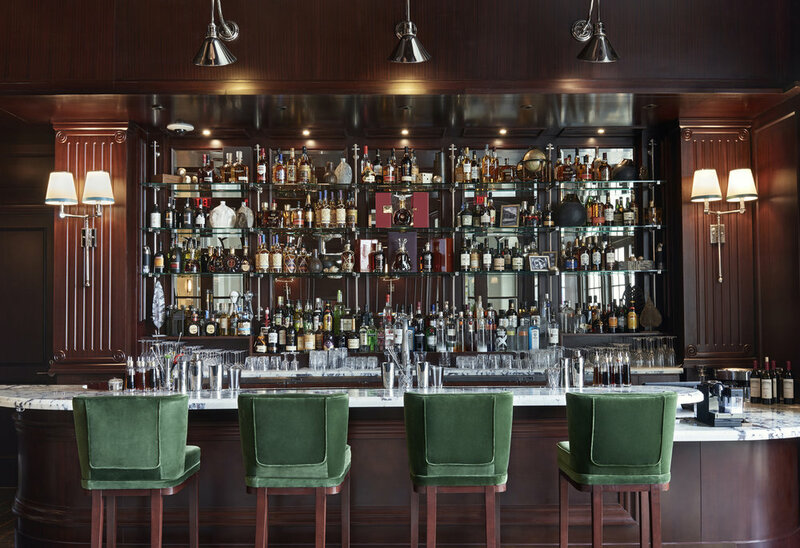 Manor Bar has a mature 20th century feel complete with handcrafted cocktails from the fully stocked bar. 'The Library’ offers guests an unforgettable afternoon champagne tea with delicate sandwiches, decadent treats and of course a steaming pot of your selection. The champagne list will not disappoint! The Manor bar has a mature 20th century feel with unique decor. Rosewood offers numerous formal and informal venues suitable for grand celebrations to smaller, private meetings. Indoor and open-air event spaces allow for flexibility to personalise each event. Professional on-site coordination and superb catering services make any list of activities possible. Rosewood is ideally located in the capital which makes travel to the out islands, day excursions and exploring very accessible. Additionally, this experience is made truly incomparable with access to all of the Baha Mar amenities including the Casino, the Jack Nicklaus designed 18-hole golf course, several day pools, the ESPA spa and an array of restaurants, bars and lounges. ROSEWOOD BAHA MAR | THE WHEN? Our temperate climate is felt year-round. The most pleasant of times are between October and May when the temperatures are in the mid seventies. The remaining months experience higher temperatures and increased humidity. March is a delightful month with the perfect combination of winter breezes and summer sunshine! Make for the beach to enjoy the shimmering blue vista and revel in the “Isles of June” as coined by Columbus. ROSEWOOD BAHA MAR | THE HOW? Rosewood Baha Mar is a quick drive from Nassau’s International Airport (LPIA). LPIA is accessible from varying major airports throughout the US and receives a direct British Airways flight from London Heathrow. The Cacique team will be delighted to greet you upon arrival and get you there in style.